The HD192 high definition 192kHz audio interface is designed for those who demand the very best audio quality available. Equipped with the latest generation 24-bit, enhanced multi-bit 128x oversampling 192kHz converters, the interface achieves an A-weighted signal-to-noise ratio of 120dB and is equipped with balanced XLR connectors throughout. 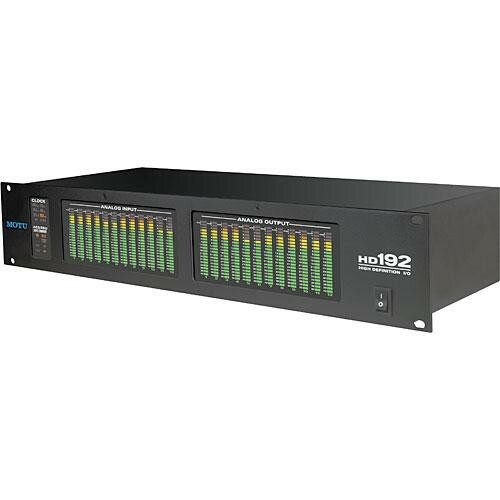 Ideal for surround applications, the HD192's twelve inputs and twelve outputs can support two simultaneous 5.1 mixes with the additional feature of sample rate conversion both in and out. The addition of the expander is as simple as connecting the supplied Audio Wire cable to one of the free terminals on the host PCI 424 card. Box Dimensions (LxWxH) 24.5 x 14.7 x 9.7"